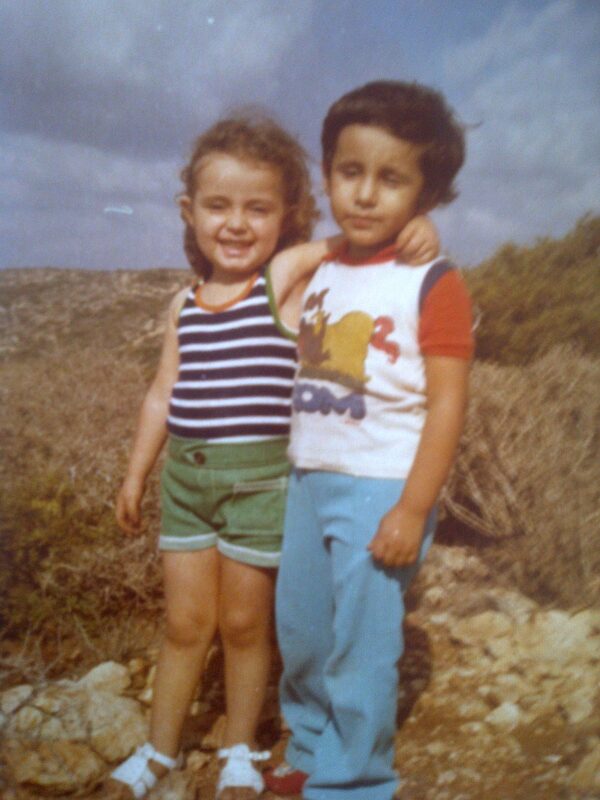 My first boyfriend was Libyan. Here we are at Jabal al-Akhdar (Green Mountain) picnicking with our families. Ever arguing over his fetish for jogging pants and how he soiled himself publically, we were doomed. See, my family is Palestinian though I was born in Libya and raised between there and London before mum and dad scooped me up and brought me to Canada at the age of four when I began stealing Their jobs and bedding Their men. Islam has taught me: My blood is Palestinian and it is by grace alone that it has not yet been spilled because of this root. Canada is my home and it’s her culture inside of which I am most comfortable and satiated. While in Canberra last month, I walked to our embassy’s front doors and noted the etching of maple leaves throughout the stone. To a girl who is a strong advocate for global citizenship, I found slightly alarming my deeply emotional response to these etchings; to the point of nearly crying, I was swelled with pride and sunstroke, overjoyed to find myself at the front doors of…my home. Islam has taught me: My blood is Canadian and it is by grace alone that I am not a creepy conservative. Though this is where my heart lives, there remains a strong mix of both Middle Eastern and North African cultural references to which I am rooted and with which I identify. More importantly, however, is the resonance of Islam within my world as it is this Faith within which I have chosen to find my own sense of worth and integrity. Islam echos within me: Your blood is Muslim and it is by grace alone that you have not yet suffered at the hands of ignorance. In the last few months, I have been reading the news with an unimaginable and uncontrollable sense of loss. I have been reading all reports of torture in Tunis, Egypt, Bahrain, Yemen, and Syria while the “Muslim” leaders responsible invoked the name of my beloved Allah when addressing the masses. Islam has taught me: My blood is Tunisian, Egyptian, Bahraini, Yemeni, and Syrian and it is by grace alone that I have not suffered at the hands of such false prophets. Moments ago, I watched the complete footage of Iman al-Obeidi being violently handled and threatened while trying to communicate to journalists how she was raped by 15 of Qaddafi’s men. Her face is covered in scratches and she is — rightfully so — in a state of extreme emotional pain. The Qaddafi regime labelled her a psychotic, a prostitute, and / or a drunk, none of which have stuck. I watch the video to bear witness, because it is the only thing I have to offer Iman al-Obeidi. In knowing her story, she is no longer isolated. Islam has taught me: My blood is Libyan and it is by grace alone that it has not yet been spilled because of this root. I watch as a woman in hijab is the first to yell at Iman, and is also the first to physically grab her later in the video. A second woman, also in hijab is who throws a cover over Iman’s face in an attempt to silence her. I can’t help but wonder why God’s mercy and compassion have not made their way through the veils of these women and into their hearts. Libyan men join the struggle and shove Iman outside and into a waiting car. She doesn’t know to where she is being taken and I hadn’t realised that I was crying or holding my breath until my requirement for oxygen kicked in and a million thoughts flooded my head, the most searing of all Allah? SOS. Oh my Maha. This is a powerful post. Thank you. I know when you write in this way about your personal experience it’s emotional for you so thank you for stretching yourself to share this. Oh and that picture of you is ridiculously cute. I absolutely LOVE your writing! It’s so vivid, I can feel what you are sharing. Thank you! I should be careful not to read your posts without tissue handy. It is the same reason I purposely do not watch the world news sometimes. I can never do so without crying. thankyou.thankyou.THANKYOU. as a hijab-wearer who struggles with hijab but never struggles with my “eiman”, you express so eloquently what others, (me included) fumble with daily. thank you for breathing coherent word into my scattered mental gymnastics. p.s. do you remember your first boyfriends name? i betchyou anything i could track him down for you, libyan community worldwide is tiny. i’d just need a last name ;). Hi meesho this is really great … you are really wonderfull in showing your emotions ,oh I’m really proud to have a niece like you . Oh by the way Iman has been released and she is back to her family’s house. You are brilliant and beautiful and vibrant, mashallah, allah ya7fadhik. Thank you for giving voice to the unheard and sharing the thoughts and reality of so many. I <3 this tremendously. And thank you e!manie for sharing on fb. Wow ya Maha, I know how talented and brilliant when writing and expressing a strong belief but this one is the strongest I have ever read. Habibti inti. love this post. there are so many references in Islam saying that we are judged by not how much we practice but what we carry in our hearts; in essence, our faith in Allah. Maha, you have touched upon a deeper issue when it comes to women. What boggled my mind while I was living in the Middle East are stories similar to this. I realized that many people are misguided by not being able to separate between our beautiful religion that teaches ‘rahma’ and culture. I hope Iman’s story inspires many women who have been silenced. Maha, I hardly know what to say. I’ve been bogged down with work so much lately that I haven’t been able to read any of the people I follow, you included, and I apologize for that. This is such a (Baby J says it!) powerful thing to return to. Your faith, your identity, in the face of all that would lessen its worth, and stories that must be heard, if only to give them a voice–thank you for this.